Stephanie here to share with you My Thankful project with you. I wanted to go a little outside the box with this one. 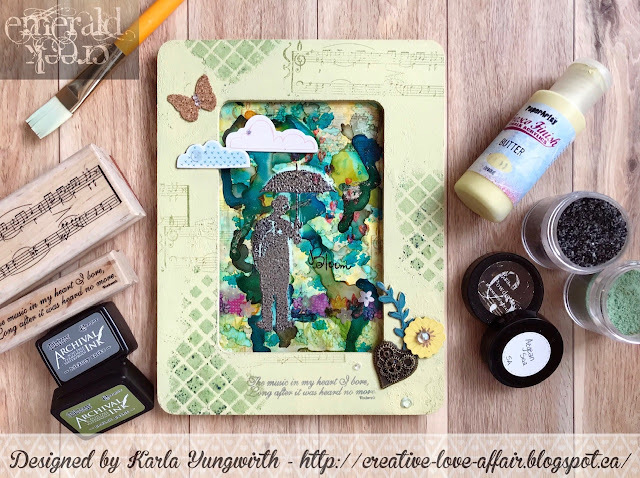 I made a mixed media tag featuring one thing I am truly thankful for... COFFEE!! I know there are others out there that are with me on this one. 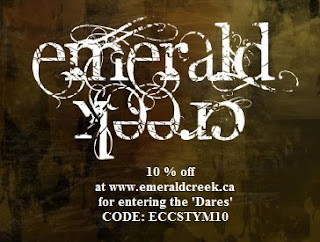 The Blend Stamp designed by Pam Bray Designs by Emerald Creek was the inspiration for my tag. To keep with the coffee theme I stamped the images with coffee Archival Ink and sprinkled Just Java Aroma embossing powder. Oh my it smells delightfully yummy! I wanted to give the mason jar an antique glass feel and Vintage Beeswax was the perfect Embossing Powder choice. To continue my thankfulness for coffee I painted my tag with latte themed watercolors. I spritzed the tag with water and randomly applied colors. I wanted to add a lil interest to the tags. I flicked the alcohol marker brush tip in its own cap. Quick and easy way to add some visual texture. Next I inked the edges of the tag. Add some dimensional foam tape on the back to lift the stamped image up a bit. Apply coffee bean jar to the painted tag. Only thing left to do is add some coordinating fibers and tie on the jar lid with My thankful for coffee quote. The tag is perfect to add to a gift for your favorite coffee fiend and book lover.